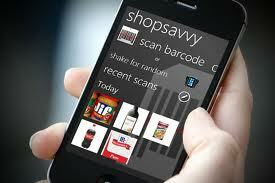 Everyone likes a good deal, nowadays shoppers equipped with smartphones built with Applications that read barcodes on various retail items, which gives you comparable prices at different stores within a certain radius has elevated bargain hunters into a whole new level of savvier consumption. Retailers are catching on — just in time for the holiday season, their make-or-break time of year. Once content to simply sell these electronic devices, merchants and mall operators are now recognizing the increasingly important role smartphones and tablets are playing for shoppers and are eager to tap into this electronic path to consumers' wallets. Practices that used to draw eye rolls and snickers from the highbrow sect has now become an art form exercised by people from all across the economic spectrum. Whether you are rich, poor or somewhere in between everyone likes to save money. And just because Black Friday and Cyber Monday are behind us, that doesn’t mean that the deals are over, in fact, depending on who you ask, some say that they are just beginning. I personally enjoy getting a good deal as much as the next guy, but it was not until the most recent economic recession that I started actually putting more effort into consistently getting more for less. The 3 inches worth of ads and coupons stuck in between the Sports Page and Business Section of the Sunday L.A. Times would often go untouched and dismissed as junk. Well the saying goes that “one man’s junk is another man’s treasure.” Little did I know the savings I was simply throwing away, now I find myself saving that part of the newspaper for last so I can really hone in on all of the everyday things I can save on. Just in the last 3 months or so, I’ve even let myself get coerced into applying for a credit card at my favorite clothing store after literally years of ignoring such sales tactics. The savings were just too good to ignore, and I’m glad I did. Not only did I get great deals upon applying for the card (which is how retailers entice you to apply for a card in the first place) but they just kept on coming. I would get coupons emailed straight to my iPhone ranging anywhere from 10% to 15% off all the way to 40% off or $15 dollars off on certain days of the month. And once I reach $900 of total purchases I get rewarded with free alterations on top of all the various coupons. If something from the store interest me, I would bookmark links from their website on my smartphone and I could opt to get notifications when that particular item goes on sale or when I can use one of my e-coupons to order the item directly from my smartphone without missing a beat. Shopping with mobile devices and electronic coupons isn't for everyone, especially for you very brave folks who prefer to browse through a mall at a leisurely pace looking for gift ideas. Even some fans of online shopping like to stick to their home computers — the screens are bigger and they don't have to squint as much. So whether you are an early adapter to new technology or just recently bought a smartphone or signed up for Facebook, here are a few useful digital tricks for saving some bucks, and perhaps some time, during Christmas. Some big retailers such as Target Corp. and Wal-Mart Stores Inc. offer their own mobile applications for shoppers to individually download to their smartphones or tablet computers. With these apps, shoppers can often get up-to-the-minute information about sale items, instant bargains, what's located where and what's in stock. Mobile apps, as well as websites geared for mobile devices, often tweak the online shopping experience to fit smaller screens with fewer items displayed per page and an easy search function. The Amazon.com app popularized one-click ordering for breezy checkouts without the need to fill in billing and address information over and over again (also upping the likelihood of impulse buying). Perhaps the most useful apps collect product data from several retailers and sort it so consumers can compare prices side-by-side from local and online merchants to find the best deal. These apps, which include EBay's RedLaser, TheFind and SnapTell, can be downloaded for free and work by simply scanning a product's bar code. Apps can offer more features than a traditional website. Bluefly Inc., an online fashion retailer that deals in discounted designer goods, sends an alert to your phone when an out-of-stock item you're eyeing becomes available again. In the same way that EBay's auction app will send a notification when you've been outbid at an auction. Mall giant Westfield, which operates shopping centers including Westfield Topanga Mall, Century City and Westfield Culver City, recently added a new feature to its app that lets shoppers pinpoint which stores carry a specific item they're seeking. Type in "Loafers" and the app will list the shops carrying loafers. About 1 in 4 smartphone owners plans to use a mobile device for holiday shopping, according to an annual holiday survey by Deloitte. Of those, 59% will use their phones to compare or check prices, 46% plan to use them to check product availability and 41% will get coupons through their handsets. Social media, such as Facebook and Foursquare, will also be popular with shoppers, with 44% of those surveyed reporting that they will use social networks to find discounts, check out friends' or family members' wish lists and browse products. Like with all technology, most people take in the new without completely letting go of the old. Even though the shelf lives of most new gadgets are now measured in days, the very fundamentals of human behavior are difficult to change as quickly. Most of us are and will always be social beings and as the difference between shopping online or in line starts to fade, people’s shopping desires will always be the same…finding the right item at the right price.